Definitely waaaay better than ‘Justice League’. Warning: This review may contain some spoilers, so read at your own risk. When we first heard that there’s a ‘Shazam!’ movie coming out soon, being a non-comic book fan, our first thought was “Isn’t that an app?”. We know, some of you may laugh at how naïve or how ignorant we were of the existence of a DC superhero that goes by the name of Shazam, but after some Googling and watching the trailer, we were sold. The character seemed funny and somewhat clumsy, which is something we can relate to on a daily basis. We were practically eager to watch the movie at that point and when we found out that Rojak Daily was invited to an exclusive early screening of the movie, we were beyond elated. So, how does a 15-year-old boy who’s a superhero but 'trapped' in a body of a man almost twice his age fare against other DC household names such as Batman, Superman, Aquaman, Wonder Woman, and the likes? At the beginning of the movie, a young boy appeared in a backseat of a car wearing round-shaped glasses which you can’t help but think of Harry Potter (who was also referenced later on in the movie). 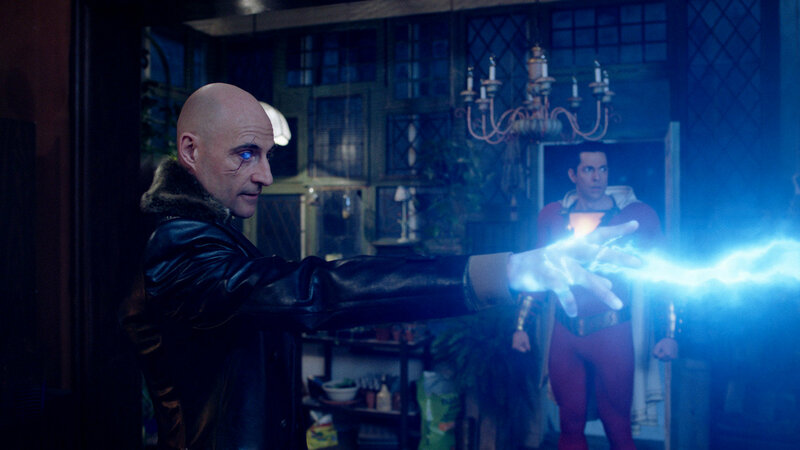 Things got off to a mystical and creepy start and we were introduced to who this mysterious Shazam really is. Apparently Shazam is a super old dude with magic powers who’s looking for a “worthy, pure, kind-hearted soul” to inherit his powers and help keep the seven deadly sins demons at bay. He 'interviewed' several people but no one was deemed worthy until he met the mischievous Billy Batson. The OG Shazam operated in a dark, shady cave which brings you to the question, why do superheroes enjoy making dark caves their lair? (Hello Batman). We found their tête-à-tête borderline desperate, innocent, magical and hilarious. Imagine being a 15-year-old kid who just inherited some superpowers from some random stranger after just a 10-minute chat? We’d be freaked out for both good and bad reasons – didn’t your parents teach you not to talk to strangers in shady places? But hey, look on the bright side, now you can do cool things that you’ve always dreamed of! We also absolutely loved all the magical elements and the little references they used in the movie. Being a massive 'Harry Potter' fan, we appreciated some of the very Hogwarts-like elements they threw in there. Overall, it felt like a movie crossover between superheroes and the wizarding world. If you’re expecting an all serious-business superhero movie like 'The Dark Knight', you bought tickets to the wrong movie. 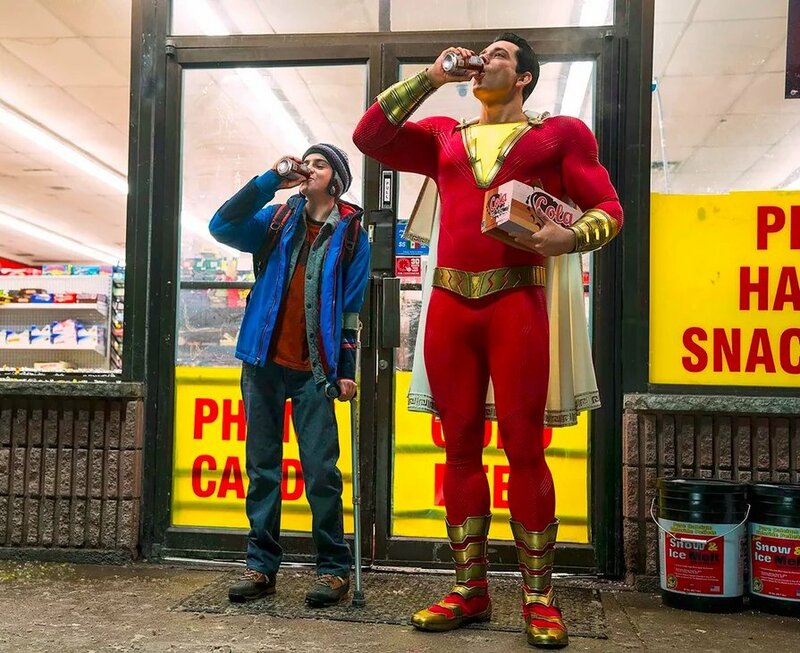 ‘Shazam’ did a great job at tickling our funny bones; we were genuinely laughing throughout the movie, from the start to the end. From banter you’d only hear during your childhood days (oh, how we miss being young!) 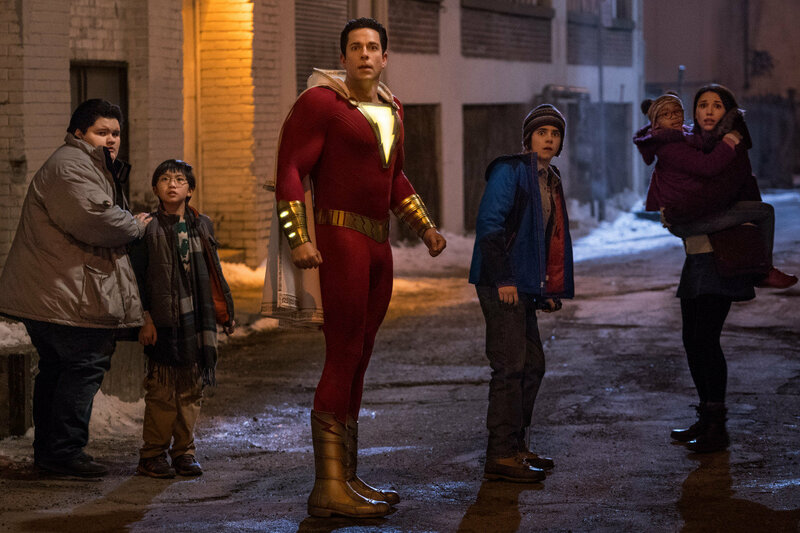 to the innocent things only a kid would say, ‘Shazam’ will definitely guarantee you a good time at the cinema and at the same time, help you increase your endorphin levels. And if you think Zachary Levi is the only person responsible for all the funny business, the rest of the supporting cast members, especially Freddy Freeman who eventually becomes Billy’s best friend-slash-Shazam’s manager, are pretty hilarious too. 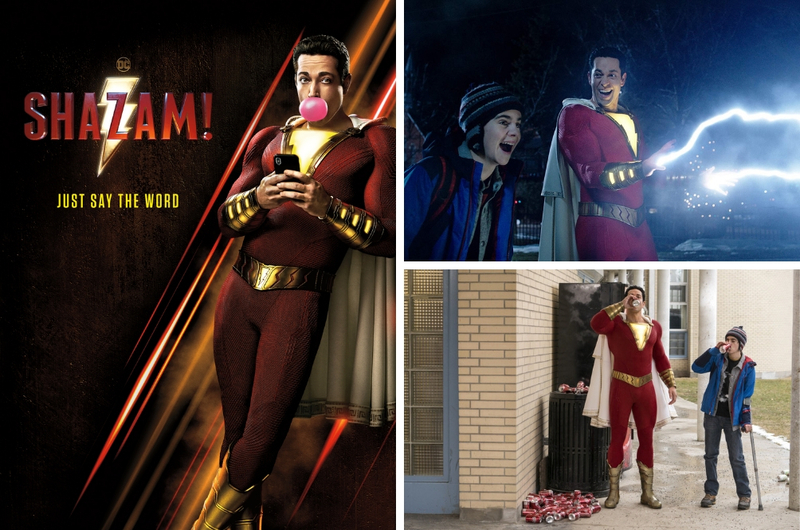 His choice of names for Shazam’s superhero identity will leave you in stitches! Although Freddy can be pretty annoying at times, we feel that his character is what makes the movie all the more merrier. We’ll be honest, ‘Shazam’ really stole our hearts because of its supporting cast members. After running away from his designated foster home for a whopping 23 times, Batson is finally placed with the Vasquez family, who also has five other foster children – Mary, Eugene, Darla, Freddy, and Pedro. All five siblings come from different walks of life and ethnics, so kudos for having a diverse cast. Mary is the eldest and is preparing to get into college, Eugene is obsessed with playing games, Darla is the youngest and a hugger, Freddy is very chatty and seems like he’s always high on sugar, while Pedro… doesn’t say much and is always in his own world. From the start, Billy doesn’t seem to glue with any of them but in a twist of fate, his five foster siblings happen to be his only beacon of hope who will help him even if it means putting their own lives at risk. We were also so happy to see the unity and trust formed between them and Billy; something you rarely see in movies involving broken families or children. Towards the end of the movie, something magical will happen to all five of them which we didn’t expect at all, but we’re glad it did because now we love the movie even more! Have you watched ‘Justice League’, the so-called ‘Avengers’ of the DC Universe? If the answer is yes, you’d agree at how cringey the CGI is. From a very fake-looking Superman to super unbelievable fight scenes, the movie is arguably one of DC’s biggest flops to date. So, another superhero movie coming out of DC, we were left thinking: “Will ‘Shazam’ suffer the same bad CGI fate as ‘Justice League’?" Thankfully, the answer is a resounding no, as all the CGI scenes – every zap, every thunder, every fight scene, every magical thing- were believable. Even the demons looked legit. Guess the studio took notes and bucked up their CGI game. If you’ve seen your fair share of superhero movies your entire life, these movies can sometimes be very predictable. The common narrative would always be some guy shows up and become the knight in shining armour to save the damsel in distress and the rest of the universe. ‘Shazam’, however, steers far away from the cliché superhero storyline of someone who inherited powers from his or her family OR someone who was sadly mutated, OR someone who happens to have billions of dollar lying around and decided to build a suit or become the caped cruisader. It's about a kid who decided to take the subway and the next thing you know, he's a superhero. In fact, if you’ve always dreamed about being a superhero as a kid, it's very likely that your dreams have been channeled and materialised into this very movie. 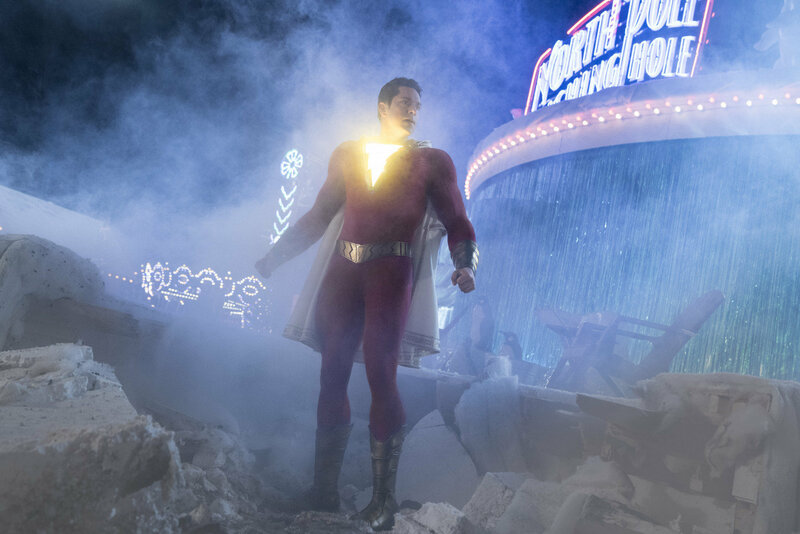 A breath of fresh air, ‘Shazam’ deals with only one villain and the seven deadly sins beasts unlike other movies with multiple villains or having to deal with the fate of the universe being snapped away (read: 'Avengers'). 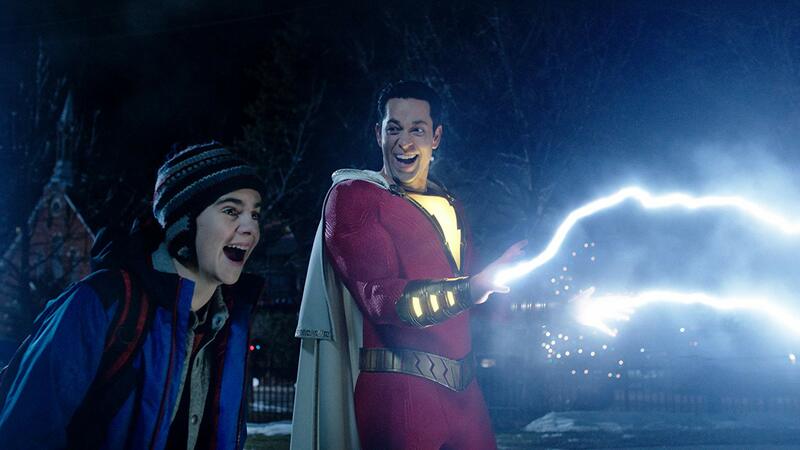 Like a kid who's just been gifted superpowers, Shazam struggles to discover his full potential and has problems controlling his powers and since time isn’t on his side, he has to wing it and believe in himself while fighting an evil man. Because let’s be real, what most 15-year-olds will do once they learn that they can transform into an adult with superpowers is to show off, take selfies with fans, and yes, skip school. So, it’s a growing up process for both Billy and Shazam. 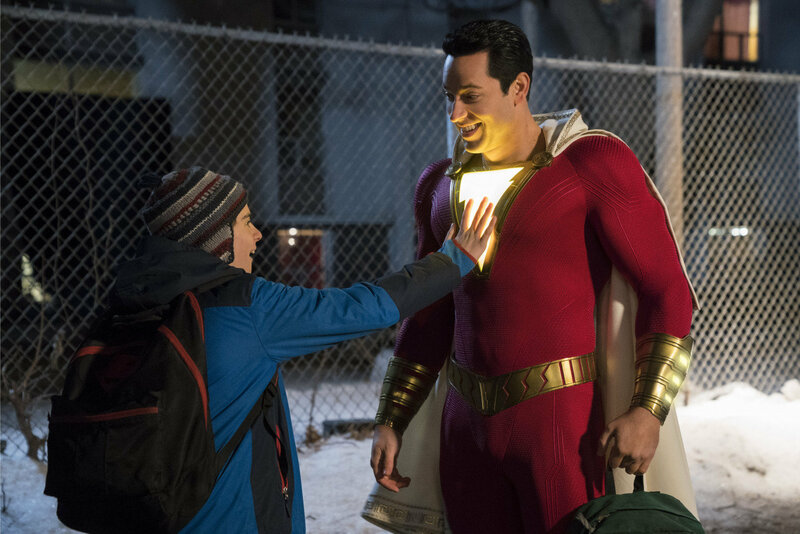 ‘Shazam’ is a funny, light-hearted movie that’ll be enjoyed by all ages and will make you leave the cinema feeling high on dopamine. 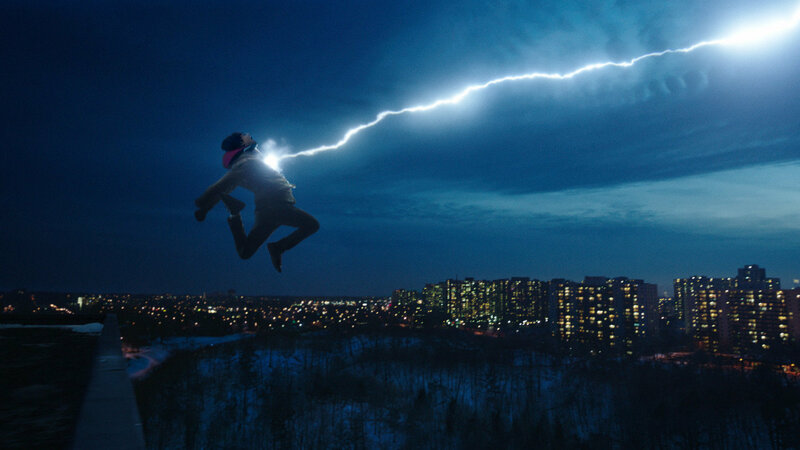 A great tribute to the child in you who yearned to be a superhero when you were much younger, you’d wish you were the ‘Chosen One’ to meet the OG Shazam and inherit his powers. Our only criticism would be some scenes were a bit draggy but all the excitement, action, and banter compensated for it. 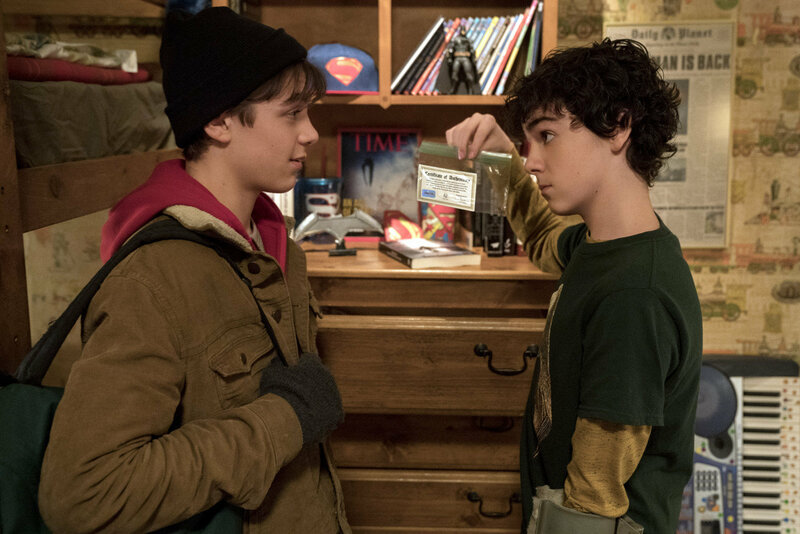 Another thing we wish that wasn’t too jarring was Billy Batson’s character when he was in his 15-year-old form and when he transformed into Shazam. Billy appears to be a reserved, quiet boy who keeps things to himself but when he becomes Shazam, it’s as if he’s another person – confident, outgoing, and brave, even though technically, he’s still the same person. And all you DC fans will be in for a treat as there are so many DC Easter eggs hidden in the movie! Freddy also doesn’t hide the fact that he loves Superman and Batman so much that he owns a lot of their merchandise and constantly wears an Aquaman T-shirt. But the icing on the cake would be the appearance of another famous superhero in the DC universe at the end of the movie, so keep an eye out for that.